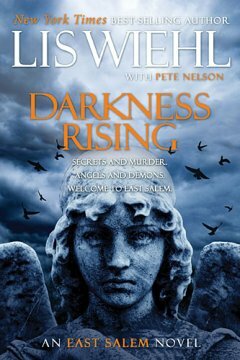 Darkness Rising is actually the 2nd book in the East Salem novels. The books will be a trilogy, with the third book yet to be released. The first book is, "Waking Hours." When this book arrived, I did not realize it was the second book, and I had not read the first in the series. I was concerned I may have a hard time with the book, but it was actually easy to get into and follow. The writing moved the book along very quickly, and for me it was a somewhat easy read. That is not to say the writing was simplistic, but instead it was so good I simply did not want to put it down. It is a mystery book with a supernatural bend, but I do not want to give away too much of the story so that you can discover its mysteries yourself. The plot is compelling and will want make you want to keep turning the page as you go along. I was concerned when I heard the author was a commentator for Fox News (I am not a huge fan), but I did not feel this impacted the overall story or the writing style.